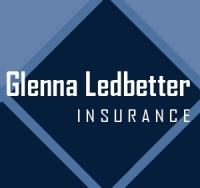 Glenna Ledbetter Insurance has been providing superior insurance services to Santa Maria, CA and the surrounding areas for over 12 years. We provide unexcelled insurance services to all our clients and provide personal attention to all of our large and small account clients. We represent a wide variety of companies and will shop around for you in order to find the best coverage at the best premium for your needs. We value our clients and their business and will go above and beyond your expectations to ensure customer satisfaction.